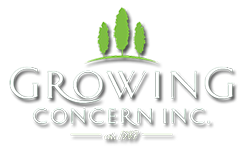 Growing Concern is a full-service landscaping, tree removal, and grounds maintenance corporation catering to the needs of Residential Communities, Corporate Properties, Schools and Universities, Townships and Municipalities. 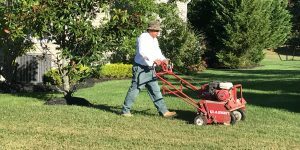 Since 1987, Growing Concern has been providing landscaping and grounds maintenance to residential communities, corporate campuses, schools, universities, townships, and municipalities. Schedule winter snow removal services from Growing Concern today! As Chair of the Grounds Committee, I have worked closely with Growing Concern for over a decade on many different levels which include: landscaping, snow removal, annual tree/plant replacement program, emergency services and landscaping enhancement projects . Working closely with the Vice President of The Southern Division of the State of NJ and the foreman of the Landscaping and Snow Removal Crew, the bar has been set high which has resulted in quality service, beautiful landscaping and a sound business and professional relationship. I just want to pass along a note to commend the work of your company in helping Lake Cushetunk Woods achieve the kind of landscaping excellence we always strive for. As chairman of the Buildings and Grounds Committee, I work very closely with Growing Concern on all landscaping issues, and it has been a pleasure to do so. Growing Concern is always willing to take care of even the smallest item in a very timely fashion. It not only makes our property shine, but it makes my job easier, knowing that any issues will be addressed quickly and properly. Thanks again for another great season. Tell us more about what we can do for you. Serving residential communities, commercial properties, corporate campuses, universities, and municipalities throughout the Garden State.